Now, if anyone of you thought the year 2017 was going to end without a 'beef' then you thought wrong. Berla Mundi and her Guest on the Late Afternoon Show yesterday discussed Yvonne Nelson and her baby daddy saga. 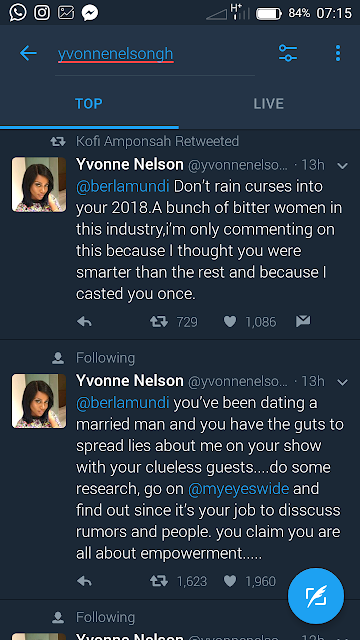 Yvonne Nelson on hearing this was definitely unhappy and it has got her revealing some 'secrets' about Berla Mundi.